There are few issues today that capture people’s attention as much as climate change. 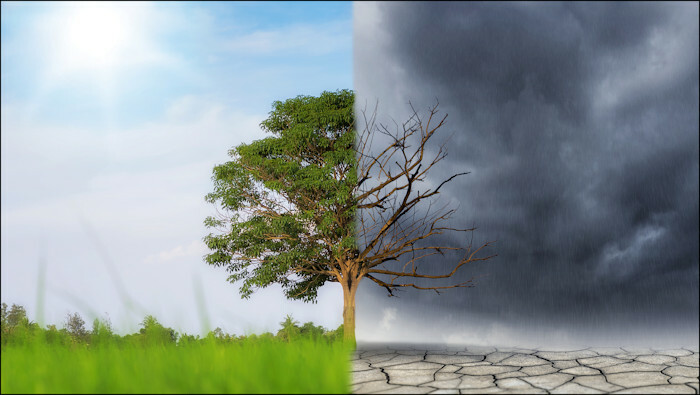 Climate change is far more than whether the global climate is significantly changing. It’s the great concern over its apparently inevitable devastating effects and that human beings are its chief cause. For many the climate apocalypse has taken the place of the threat of nuclear war as the world’s biggest fear. Destructive storms, unstoppable fires, and coastal flooding are lurking just around the corner. There was a time that talking about the weather was considered polite small talk. Now it’s the stuff of international summits and overarching government policies. According to many leaders unless we drastically decrease our consumption of fossil fuels immediately, the world as we know it will no longer exist. It might even be too late. The Torah includes insights to help us effectively deal with this issue. First, that we should care about the environment is a concern all people should share. This may come as a surprise to some people of biblical faith, especially those who mistakenly detach things spiritual from things material. God placed human beings on earth as caretakers of the planet, a responsibility never rescinded, superseded or redefined. From the Bible’s perspective, the importance of spiritual matters is deeply connected to the material realm. Spirituality in all its expressions, good and bad, is lived out in the physical world, not apart from it or in denial of it. The Torah is clear that the health of the environment is dependent upon human activity. Some of that is obvious as in those things where our actions have immediate consequences. We have learned to burn wood in our fireplaces and natural gas in our homes in such ways so as to not poison ourselves with fumes. The industrial revolution caused great pollution, and smog was a major health hazard. I wonder how many people are aware of how cites like London and Los Angeles have effectively addressed such problems. Climate change is much more difficult to analyze because we don’t readily observe its effects or what the causes might actually be. The Bible however shares the concern of climate change proponents, though not necessarily what’s fueling it (pun intended). According to the Bible the prime factor controlling the environment is morality and plays out in two ways. First, cause and effect – not in a way readily observable, but more obvious than we may think. While there are large regions of the world that are very poor, history has never seen the level of affluence many of us take for granted. Who thought even a few years ago, that it would be common for young people to carry (in their back pockets no less) a device worth hundreds of dollars that gets completely replaced every one to two years. The demand for individual convenience, pleasure, and status has resulted in overly excessive consumerism and waste. Yet, tragically, many people of faith refuse to consider greed and selfishness as issues to be concerned about. We produce far more than we need and in such a way that results in mind-boggling waste. Do we really think God will allow us to get away with this forever? That brings us to the second way morality affects the environment. The Torah is clear that there is more than simply direct cause and effect going on. The well-being of the planet is dependent upon a relational dynamic. The earth belongs to God, and it matters to him whether we live according to his ways. When we do, the environment cooperates; when we don’t, it doesn’t. I would suspect that many of those so very concerned about climate change would scoff at my tying spirituality and morality to the environment. But that connection may not be as mysterious as some may assume. Can we not see, for example, how sexual liberation, by undermining the traditional family as the basic building block for society, greatly contributes to the ever-increasing production of goods with its accompanying waste? Then we are told that if only there were less people, we would be better off, failing to understand that while humans contribute to the world’s problems, we are still God’s chosen solution. We can only make a short- and long-term positive difference if we live God’s way. Something we frequently hear about lately is “cultural appropriation,” the concept that it is inappropriate in some, if not all, circumstances to take on foreign cultural forms and expressions. 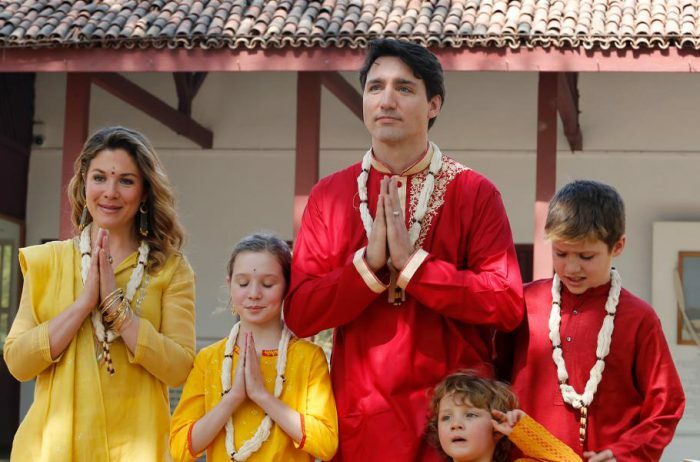 The Canadian Prime Minister, Justin Trudeau, was taken to task for this very thing on his trip to India earlier this year. When cultural appropriation first came to my attention some time ago, I frankly thought the strong objection to it was a bit strange, not because I don’t understand the concern, but because I am so used to it (sort of). As a Jewish believer in the Messiah, whose spiritual relationships are mainly among non-Jews, I encounter cultural appropriation constantly. In fact, Christianity is and has always been an exercise in cultural appropriation. Generally, Jews and Christians are not aware of this, however, since most Christian cultural expression wouldn’t be recognized as Jewish. The fact is there is almost nothing within Christianity’s core beliefs that isn’t derived from the Jewish world. Some are more obvious than others. The primary document for Christians is the Bible, both Old and New Testament written almost exclusively by Jews and focused on activities happening to or done by Jewish people. Even as global outreach developed, its development and implementation was in Jewish hands. The God of the Christians is the God of Israel. The religious and theological concepts adhered to by Christians are all Jewish in origin, such as sin, righteousness, sacrifice, and holiness. Then there’s the very center of all core concepts, the Messiah. While the Jewish and Christian worlds have traditionally been divided over the Messiah’s identity, Christianity is founded on the conviction that Yeshua (Jesus) is the Jewish Messiah. Using Greek-oriented instead of Hebrew-oriented terminology obscures the cultural connection. That many Jews and Christians aren’t conscious that Christ and Messiah, for example, are synonyms doesn’t negate the Jewish nature of the messianic concept. Other key Jewish components of Christianity are not as obvious. Most people don’t realize that baptism was originally a Jewish custom that was done as part of the conversion process as well as when an estranged Jewish person wanted to return to God. The development of the church as the place of community teaching and prayer was based on the synagogue. Communion, also called the Eucharist or the Lord’s Supper, is taken from Passover. The hope of the resurrection of the body was an exclusively Jewish concept. We could go on. The early Jewish believers went out of their way to allow the Good News about the Messiah to function freely and fully in a non-Jewish context. Through God-given wisdom they freed the core of biblical faith from Jewish cultural control, allowing the nations to work out the essentials of biblical spirituality within their own contexts. What I don’t think the early believers envisioned is how far from a Jewish frame of reference the Church would go. Many non-Jewish believers over the past hundred years or so have sought to re-contextualize Christianity within a Jewish frame of reference. Some correctly understand that the freedom to adapt biblical teaching within foreign cultures, while helpful in many ways, can tend to skew biblical truth, especially when cut off from its Jewish roots. At the same time, however, the passion to restore biblical faith to its ancient roots can go overboard. This is where appropriate cultural adaptation can become misappropriation. This happens in two ways: first, by confusing Jewish culture with biblical truth. Not everything that is Jewish is necessarily biblical. Much of Jewish culture found in the world today is recent in origin. While we don’t know the tunes of King David’s psalms, we are fairly certain that they were not anything close to what is thought of as Jewish music today. Similarly, Jewish foods are normally adaptations of local fare throughout the world where Jewish people have lived. Apart from the limits of kosher laws, there is nothing intrinsically biblical about the vast majority of Jewish cuisine. The second type of misappropriation is in regard to actual biblical material. For example, take the feasts as listed in this week’s parsha (weekly Torah portion). It is tragic that this key component of the Books of Moses, like most of the Hebrew Scriptures, has been virtually ignored by Christians. 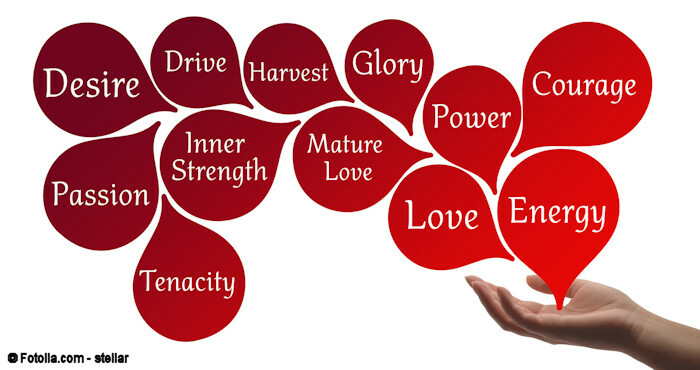 There is so much to learn from the feasts as they teach us about God’s character and activities. Yet it is easy to go from a healthy renewed focus on Scripture to a misguided emphasis on cultural expression. Much of Jewish festival observance today is based on tradition, not Bible. Tradition isn’t necessarily a bad thing, but it is culturally bound to the people who developed it. People don’t often possess the level of sensitivity necessary to adapt cultural forms. That doesn’t mean it should never be done. Perhaps we need to meaningfully get to truly know the people whose culture it is before we treat it as our own.